Widener University-Main Campus received a A-. U.S. News & World Report's ranking of 189 out of 201 of National Universities was a major contributor to this grade. Widener maintains its main campus in Chester, PA and about 3,400 undergraduate students participate in its array of liberal arts pre-professional programs. The university also operates satellite campuses in Harrisburg and Wilmington, Delaware. Springtime finds Widener students anticipating Spring Carnival, a festive weekend respite before final exams. What is a typical Widener University-Main Campus student like? Describe the type of person that should attend Widener University-Main Campus. The average Widener University student is very open minded. Widener is very nonjudgmental and open to new ideas and people. It is a very accepting and welcoming school no matter the race, religion or gender. What are the top 3 reasons someone should attend Widener University-Main Campus? What was a typical Widener University-Main Campus student like in high school? Describe the type of person that should attend Widener University-Main Campus. Founded in 1821 as a preparatory school for boys in Wilmington, Delaware, the institution now known as Widener University moved to Pennsylvania in 1862, and was granted collegiate powers and privileges via universal charter by the Pennsylvania legislature in April of that year. It was known from 1892 to 1972 as Pennsylvania Military College, though it had officially become PMC College in 1966 when a nonmilitary, coeducational component was added. In 1972, the name Widener College was adopted after the prominent Widener family of Philadelphia, and the Corps of Cadets disbanded (an Army ROTC program still exists). Graduate programs were introduced in 1966 and the School of Law acquired in 1975. In recognition of its comprehensive offerings, Widener College became Widener University in 1979. Today, Widener is a four-campus university offering more than 80 programs of study. Throughout its long history, the university has undergone several name changes. The following table details the various names Widener has gone under as well as any significant organizational changes that occurred during each period. What are the top 3 things that students do for fun at Widener University-Main Campus? The average student pays $27,663 for tuition, fees, and other expenses, after grants and scholarships. Total stated tuition is $37,370, in-state and on-campus, before financial aid. Learn more about financial aid at http://www.widener.edu/about/widener_leadership/administrative/enrollment/financial/default.aspx. 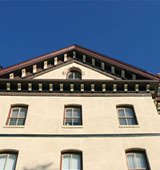 Estimate the net price for you at http://www.widener.edu/admissions/undergraduate/scholarships_aid/. The typical (median) early career salary of Widener University-Main Campus graduates is $50,200, according to Payscale. Widener University-Main Campus participates in the NCAA Division III for college athletics. Want more info about Widener University-Main Campus? Get free advice from education experts and Noodle community members.